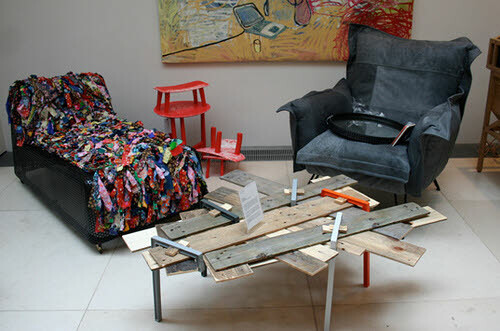 Are you a creative and resourceful person who turns other people’s “trash” into like-new treasures? Or maybe you are the person all of your friends calls for help to revamp their home furnishing hand-me-downs into focal points of their rooms? If so, Fashion for Home, one of the United Kingdom’s leading designer furniture retailers, wants to showcase your talents! For every picture and furniture recycling story submitted to recycling@fashionforhome.co.uk by September 4, the company will donate 1 pound (roughly $1.50) to the Red Endangered Animal Connection Trust (REACT) charity as part of the “Recycle to Reforestation” campaign. All of the proceeds will help to restore the natural habitats of “threatened” and endangered animals destroyed by deforestation. Your entries then will be compiled into a “Guide to Recycling” and featured online for fellow recyclers to swap ideas, tips and tricks. Remember all furniture, like tables, chairs, cabinets, even antiques, count. Based on the findings of the International Union for Conservation of Nature (IUCN), REACT has chosen to concentrate all of its efforts to helping the Bornean orangutan, the Malayan sun bear and the Asian pygmy elephant this year. These animals are considered “umbrella species”, which means as they are protected, thousands of other animals sharing their habitats also will be protected. Aligned with REACT’s core belief that one person can make a difference, we all can commit to reducing our contribution to landfills and in turn lessen the estimated 3 to 6 billion trees that are cut each year and stop the destruction to the world’s rainforests. Fashion for Home is on mission to spread the word about the benefits of recycling and give vulnerable wildlife a place to call home. Be a part of this great initiative today and share this post with everyone you know!